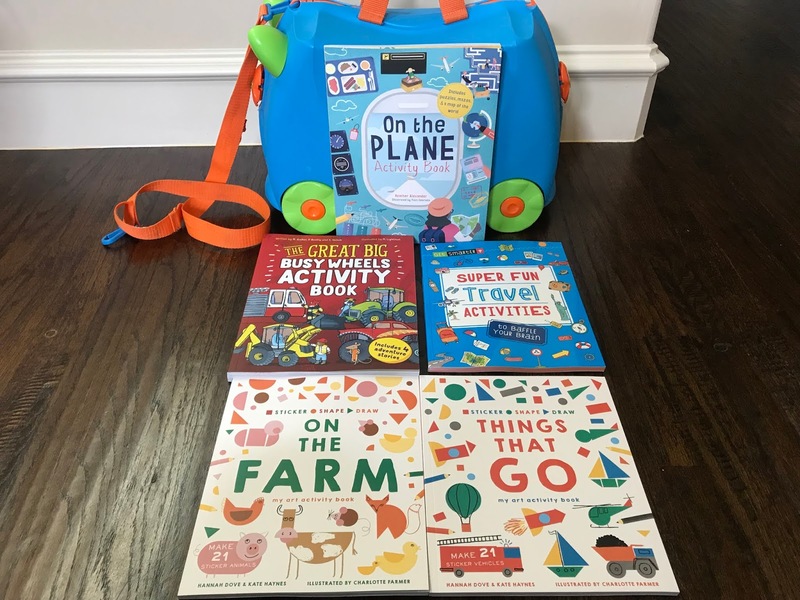 In today's post, I thought that I would share tips for traveling with young children that include alternatives to iPads or electronics. I completely understand providing iPads and electronics on long trips. I've done it. My oldest son loves it. However, my youngest prefers the real world without electronics. (Isn't it funny how children have different personalities?) I actually love that he prefers the real world because children only have so much time in the day and there are so many great ways to learn by interacting with the world around them. So, today's post is basically brought to you by my youngest son who shuns electronics. However, both of my children love all of the tips below. 1. Get a rideable suitcase. There are a few different brands that manufacture rideable suitcases. These make it easier to get through airports with my children. I just pull them by the strings on the luggage and they ride through the airport with smiles on their faces. They may even be a little wild at times as they pretend to have lassos and pretend to be cowboys. (Go Texas!) It's ok as long as we keep moving. We get lots of smiles and waves from others. 2. Don't skimp on snacks. Snacks make traveling more fun. Pack good snacks that they know about. Pack emergency snacks that they don't know about in case they get fussy and are easy to redirect with a new snack. 3. Stock up on books, especially activity books. 4. Fill a pencil case with activity supplies such as Legos. Pencil cases make it easy to organize small activities. My children love that I glue a lego board to the inside of a pencil case and then they are able to have fun building with legos inside of the pencil case. 5. Plan lunch, dinner, and snacks. We print a list of restaurants in the airports so that our children are able to browse it and pick where they want to eat when we land. It gives them something small, but fun, to look forward to if they have good behavior. I hope that these tips help you to look forward to your next family trip!